ALPINA took the covers off their new B7 (based on the LCI BMW 7 Series) and considering it packs 600 hp (447 kW) and 800 Nm of torque it is definitely no slouch. The new ALPINA B7 now accelerates from 0 to 96 km/h (60 mph) in just 3.5 seconds and can reach a maximum speed of 330 km/h (205 mph). It is not the acceleration figure we are interested in here but the top speed because this is 1.6 km/h (1 mph) quicker than the 707 hp Dodge Charger Hellcat’s 328 km/h (204 mph). While we doubt a single ALPINA B7 owner will take their car to 205 mph, it’s awesome to know that it can do it. It’s also awesome to know that the world’s fastest production sedan isn’t some stripped-out, psychotic performance machine but one that’s loaded with incredible luxury and refinement. 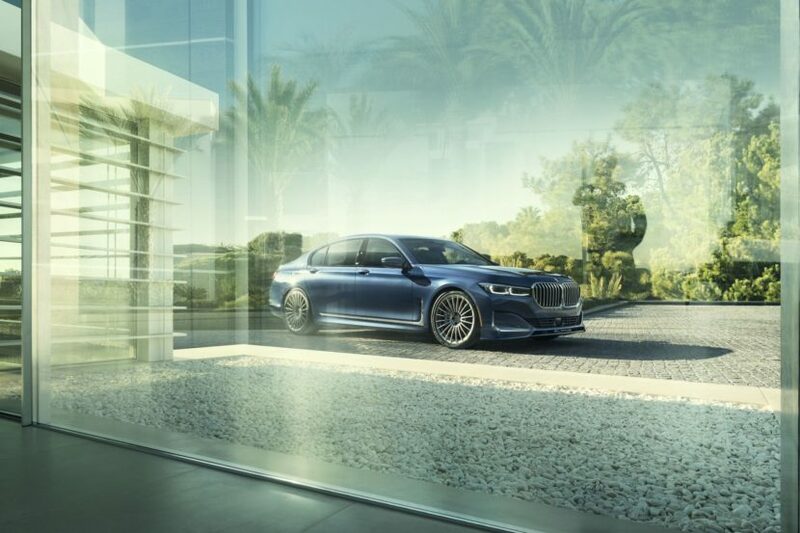 The new ALPINA B7 can outpace almost any performance car on the road and do it in near silence and almost incomparable comfort.